The Baptism is a Universal Initiation of Commitment to The Spiritual Path of the Great Way that we all eventually find and follow. The Baptism of The Gnostic Order of Christ may be received by any person of any path. We recognize that ultimately, All Paths lead to The One Way. 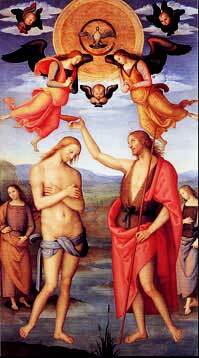 In the Gnostic tradition, the Baptism is recognized and administered as The First of "The Great Initiations". During the Baptism we use both water and oil. The water is used for purification; the oil is used to anoint one and initiate the descent of the Christ Light. In the Gnostic Tradition, the Baptism is used to initiate the process of the Christing of one's Soul on a conscious level. The Christ Light is the Light of God. In Greek, Light is referred to as phos: radiant energy. Phos is the Light of Enlightenment and refers to the power of understanding, especially of moral and spiritual truth. In great works of art the halos around the heads of the Saints symbolize the radiant energy of ones deemed to have attained Enlightenment. The Gnostic Baptism is sometimes called The Cosmic Baptism, The Baptism of Light, or The Baptism of Fire. In one form or another, the Initiation takes place at sometime during one's life, no matter what Path one may follow, either in another ritual form or subconsciously. The formal ceremony of the Gnostic Baptism is an opportunity to experience your personal commitment to The Spiritual Path, consciously. The Western term for The Great Light is Christ. 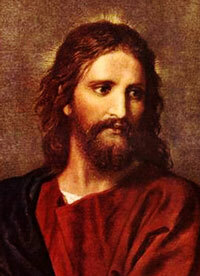 The English term Christ derives from the Greek word Christos. The term Christos means "anointed". Anointed comes from the Hebrew word meshiach translated in English, messiah; thus Messiah and Christ are in the sense of an individual interchangeable. In the Gnostic Baptism ceremony, one is anointed with oil and blessed by a Priest. 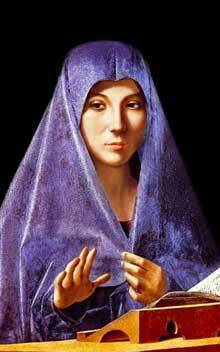 We call upon the presence of Christ Jesus and the Blessed Mary. In this ceremony, Jesus and Mary are the channels through which we receive our Spiritual Grace; we address Jesus and Mary as universal models of wisdom, love and compassion; they are friends, guides, and companions who we may call upon, whose spirits of wisdom, love, and compassion remain available to us through the Spiritual Realms. We recognize Jesus and Mary as Great Teachers and Saints: Mediators of the Presence of God, The Christ Light: The Christ Consciousness, and The Holy Spirit, for the Earth and All of its people, no matter what race, faith, age or gender. We seek their presence,as Mediators of the Divine and Sacred, as beings who have gone before us on The Spiritual Path; as beings who have attained Christ Consciousness who when called upon, come forth to assist, guide and bless us on our Spiritual Journey. In the picture to the right, the Annunciation, Mary is shown receiving of the Holy Spirit. The Annunciation represents the opening of the Soul to receive of the Christ Light. The Annunciation represents the awakening of the Soul to the higher consciousness of the Christ within; the Annunciation defines beginning of the conscious path to becoming Christed. 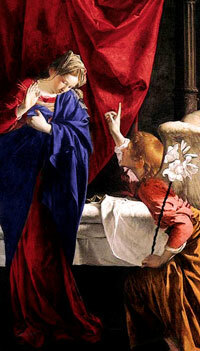 The Annunciation represents the time during which Mary opened to receive of the Christ more fully. Every Soul experiences this Awakening when stepping upon the Spiritual Path. The Awakening is also called The Great Call. The receiving of purification by water is an opening to receive a cleansing of the Soul through an act of conscious will. Following, the descent of the Holy Spirit occurs when one is anointed and opens to receive of the Christ Light. This experience may be seen in regards to Jesus in the writings of the Gospel of Mark. First, Jesus was cleansed by a Baptism of Water. Following, the Holy Spirit descended, symbolized by the form of a Dove. The Dove symbolizes The Great Peace and the Fire of Gnosis or knowledge that which releases us from all that is not of the Holy Essence of God. This descension of the Holy Spirit brings to us the Wisdom needed to live as a life of Love, and Compassion. The Soul is Christed; it is filled with the Light of Christ. The story of Jesus' Baptism is the story of his purification and of his receiving the Christ Light: Enlightenment. A keynote of The Baptism is our opportunity to express a heartfelt commitment to The Great Way, witnessed by, and in the company of like companions, in the Spirit of Sacredness and in Spiritual Community. The development of and receptivity to full Enlightenment and the attainment of Greater Wisdom and Compassion is the central focus. The Baptism is an Initiation of both the mind and heart in relationship to one's own Soul, God, Christ, and the Holy Spirit. The Baptism opens one to the influx of a Greater Degree of The Holy Light of The One God - Creator of All. The Holy Spirit descends by the power and word of our own will witnessed, blessed, and supported by a Priest in the Presence of Mary, Jesus and the Host above. When one is Baptized, one commits to following the Way and to the study and practice of the two great commandments given by Christ Jesus when He was on Earth: to Love God and to Love one another as He loved us. Implicit in Jesus' guidance is that his Mother Mary also followed these commandments in her obedience to God and in Her love for all. Quietly and silently as Mary during the time of the Annunciation, do we contemplatively strive to have and develop a relationship with God that is pure and complete. This pure desire is what results in our Awakening. The Baptism Initiation includes Communion. 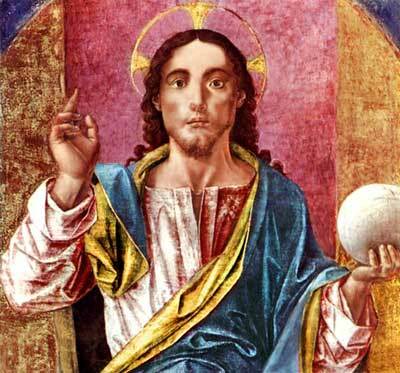 Communion in our tradition is the partaking not of Jesus, but of his consciousness, the Christ consciousness, the same consciousness that he received. We partake of the Body and Blood of Christ. Christ is the manifested Light. The Holy Spirit is the Presence of God. KJV John 14: 10-21: 10 Believest thou not that I am in the Father, and the Father in me? the words that I speak unto you I speak not of myself: but the Father that dwelleth in me, he doeth the works. Prior to Baptism, we perform a retrospection and a personal confession. Confession is an element of retrospection, the purpose of which is forgiveness of ourselves and all. It is recommended that you do this retrospection and confession in private and then discuss any unresolved issues with your Consecrator. During communion all sins and errors are given up to God for transformation. When we are Baptized in this Initiation all things are transformed; we are transformed. Conscious awareness of giving up our sins and errors enhances our experience of spiritual renewal and rebirth. See the Basic Spiritual Practice for guidance in performing a retrospection. It is useful to be familiar with The Six Elements of Spiritual Practice. These provide an outline of the elements of any regular spiritual practice and are universal in that they are the basic incremental steps of the spiritual practice of any faith. When one consciously steps upon The Path it is wise to know of these universal elements and make them a conscious part of our everyday Spiritual Practice. The Elements give us a logical framework for our spiritual practice and when practiced daily, these elements spiritualize our lives. 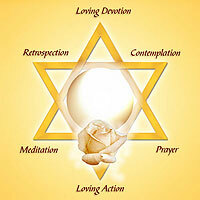 These elements may be symbolized using the star of David. Meditation and Prayer result in Loving Devotion. Retrospection and Contemplation result in Loving Action. The upward pointing triangle signifies spiritual practices for understanding more about our relationship to God and the universe through intentional activities that open us to greater understanding and awareness; these practices result in a greater connection to the spiritual. Loving Devotion: We actively seek to know the great wisdom and the heart essence of All Faiths from within our own beings in ardent dedication to our path and God through our spiritual practice. Meditation: We meditate to quiet our minds, focus our thoughts and become aware of the presence of peace, love, and compassion in our lives. Prayer: We pray to hold others in the unconditional love of God and ask for blessings for ourselves and others. The downward pointing triangle represents spiritual practices for advancing our conscious awareness of what we have received from God that we may activate what we have received in the world and so be a cause of benefit in the world. Retrospection: We perform retrospection to examine our own thoughts and actions objectively in the light of spiritual teachings and to perceive the good intent and heart of all concerned. Contemplation: We contemplate and strive to maintain concentration on the sacred as a constant in private devotion and study to maintain our awareness of God's being and presence in every moment of our daily lives. Loving Action: We strive to act in accordance with the highest understanding we have received for the benefit of all. It is preferable that one be accomplished in beginning meditation. However, a sincere desire to know God and a recognition that All Paths Lead to The One Light Over All are truly the only requirements for this Initiation. The Baptism is an inward experience and takes place in a state of meditation and prayer. The Chart of the Six Elements outlines the essence of Spiritual Practice. The Basic Spiritual Practice outlines recommended daily spiritual practice. The Auric Egg Exercise outlines how to meditate. For more information also see Sacramental Initiation.